Historically, the Republican Party is the one that splits. It has been an odd mixture of liberalism from the viewpoint of citizen rights before those of the government, and the original constitutional goal of preserving the sovereignty of the states vs. the Federalists. This liberal view has often taken the Libertarian position, whereas the so-called “liberal” view of the Democrats is not liberal at all; it is liberal with others’ money in the battle cry of Marxism. This Republican “libertarianism” is what Trump is tapping into, as is Bernie Sanders in the Democratic Party. Traditional Republicans are owned by the NY banks, as is Hillary Clinton, whom more people now distrust. This Republican “libertarianism” actually traces back to Thomas Jefferson, the ultimate anti-Federalist. 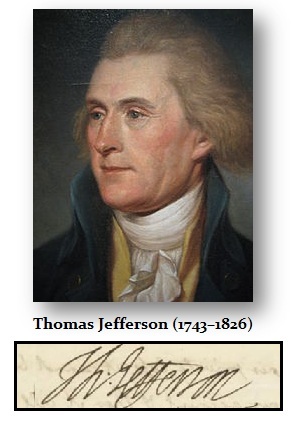 Jefferson championed the Bill of Rights that both the Republicans and the Democrats no longer respect, as demonstrated by Obama’s indistinguishable actions from that of Bush regarding the NSA; both sides called Snowden a traitor. 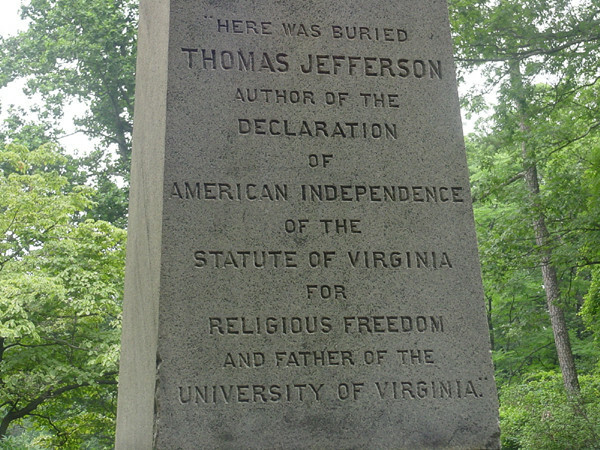 The humility of Jefferson’s Libertarian views can be found by simply by reading his tombstone. There is no mention of him being President of the United States; his accomplishments regarding liberty for his home state are noted. He omitted any mention of being president since he was an anti-Federalist. The Party Republicans are dreaming of chasing Donald Trump away since he is dominating the agenda and they want this to be politics as usual. They fail to grasp the rising resentment of politicians and the resurgence of Jeffersonian Libertarianism. 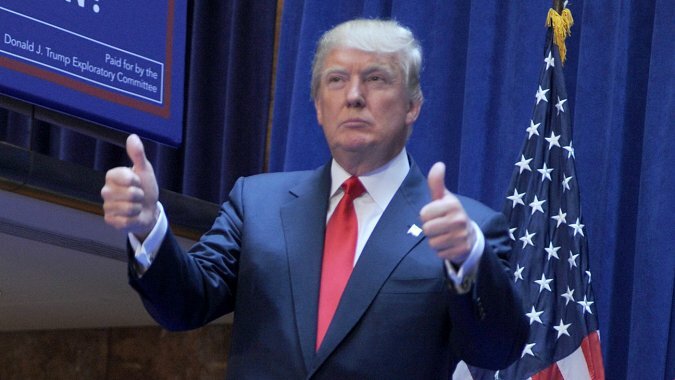 Personally, I seriously doubt that mainstream Republicans will even allow Trump to take their ticket. I cannot imagine John Boehner not engaging in some covert action to try to prevent a Republican Trump ticket. The Republicans keep publicly rebuking the Trump for his inflammatory comments, yet he climbs in the polls. The very reason the majority of Democrats distrust Hillary Clinton is the same foundation as to why Trump is so popular. They at least know he is not beholding to Goldman Sachs, as both Bush and Hillary are most assuredly. There is no doubt that a Bush or Hillary victory in 2016 will be indistinguishable, for both will represent business as usual. Where Rand Paul could have been a real contender, he seems to have lost his appeal, for he too is trying to stay within the party and play politics as usual. The Republicans could chase Trump out and we could end up with a Trump Third Party Libertarian surge. That would be the potential nightmare scenario for the GOP, which our computer has been warning about for decades into 2016. NO, we are not advising Trump to answer the questions on this topic. A populist outsider with unlimited resources attacking the Republican and Democrat nominees in the general election will be perhaps the most interesting presidential election of all time. This will raise political hell as our computer has been projecting. 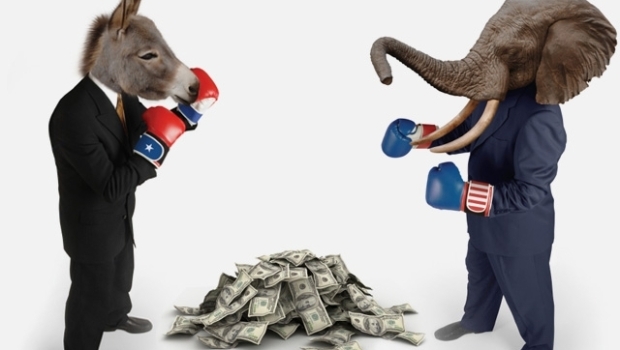 At the same time, a rise in voting for 2016 will attract votes from both Democrats whom are fed-up with Hillary and Republicans who are tired of politics as usual. The Republican Party mainstream establishment is out of touch. They are not in tune with what is really happening. They cannot grasp that the emperor has no clothes. They are playing with disaster by trying to go after Donald Trump by minimizing him and excluding him. They cannot see that times are changing – out with the old and in with the new. A person who was a true war hero did something magnanimous. McCain himself has acknowledged that he was a less than stellar Skyhawk pilot. He was a bit too reckless, and, had he made better decisions, might have avoided his shoot down in 1967. Becoming captured does NOT make someone a war hero. If that is the standard, then it diminishes all those who received the Congressional Medal of Honor for being a real hero. So Trump was actually very correct and any veteran who respects those who went beyond the call of duty to save their fellow soldiers would agree; placing McCain in the same category of those who died saving their comrades tarnishes the memories of real war heroes. Sorry but Trump was right on that one. If Trump took up a Third Party, it might be the biggest shot we have at saving the country insofar as it would at least turn Capitol Hill into a new playing field. It really will not matter who the Third Party candidate is, Washington needs to be shaken and stirred vigorously to let these people know being a “representative” is supposed to be OF THE PEOPLE, not of yourself, the party, and government. At this point, we desperately need to do whatever it takes to upset the applecart, for we are heading in a direction that will destroy our future. These morons are demonstrating that they do not understand the situation, and are upset with Trump for not playing their game of never telling the truth, sugar coating everything, promising the moon, and ultimately delivering nothing.